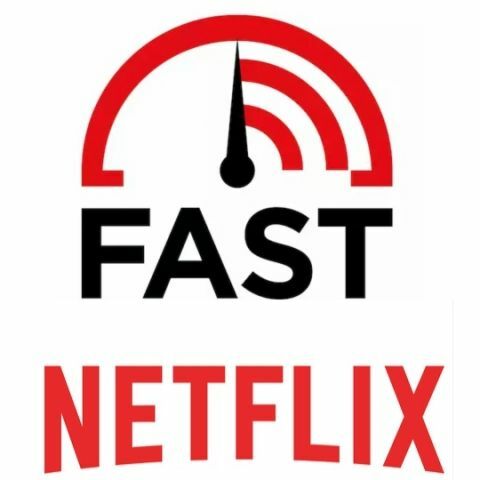 The platform was launched by Netflix last year in May and user can now use the social sharing button for sharing their speed test results directly on Facebook and Twitter. Netflix has launched new social sharing option on its FAST.com website by which users can directly share their speed test result on Facebook and Twitter. The service was launched by Netflix in May 2016 and the company claims that the service grew by about 10 percent each month since launch. FAST also shared some data regarding the speed test being performed on their site. It said that their platform has observed users from countries generating internet speed tests are from U.S., Brazil, India, Japan, Canada, Mexico, Philippines, Italy, Great Britain and Egypt. The tests are performed in the evenings during streaming primetime and bigger spikes during network connectivity issues. We all want a faster, better internet, yet internet speeds vary greatly and can be affected by issues ranging from network congestion to wireless interference. That’s why at Netflix, we work with partners around the world to improve streaming quality. We also create tools that put consumers in control of their viewing experience, regardless of bandwidth. One tool we launched last year is FAST.com, a free, fast, and simple way for people to check their current Internet speed. We gave it a clean, ad-free design that was intuitive to use and easy to understand. Since launching in May 2016, we’ve been humbled by the great response we’ve seen from people all around the world. Tests on FAST.com grew by about 10 percent each month since launch, and that momentum led us to an awesome milestone just a few days ago: FAST.com has generated a quarter billion speed tests from around the world. Who uses FAST.com? People from all over the world. Recent data shows the top countries generating internet speed tests on Fast.com include the U.S., Brazil, India, Japan, Canada, Mexico, Philippines, Italy, Great Britain and Egypt. How are people testing their Internet speeds? There’s an even split between speed tests generated on desktop and on mobile devices (either on the mobile web or on the FAST iOS or Android app). When are people testing their Internet speeds? All day. We see a small bump in tests generated in the evenings during streaming primetime and bigger spikes during network connectivity issues. Are there exceptions? In Japan, internet speed tests tend to peak later, at around 9 to 11 p.m. local time. In India, internet speeds peak in the morning, at around 9 to 11 a.m. local time. To celebrate this quarter billion test milestone today, we’re launching a new way to share Fast.com speed results on social media. To brag (or rant) about your Internet speed, run the test and click on Facebook or Twitter button to post the result on your social feed.